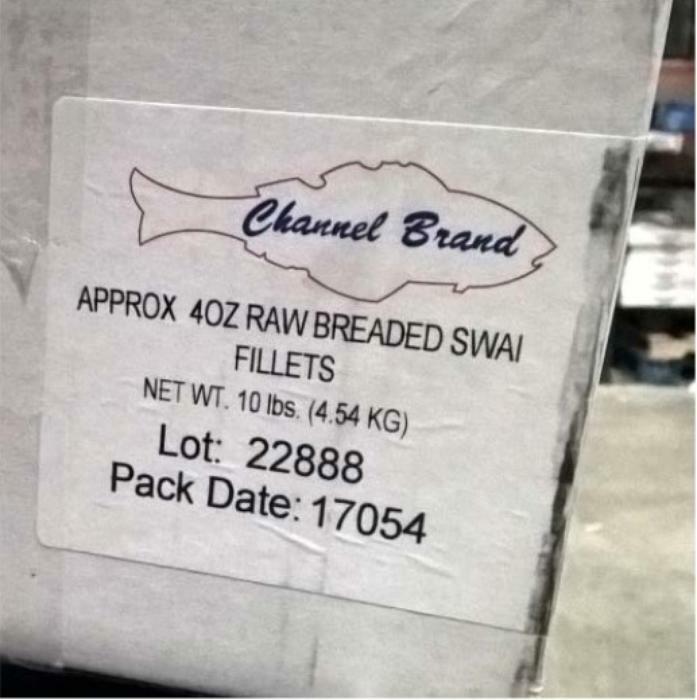 Channel Fish Processing Co., of Boston, Mass., is recalling approximately 840 pounds of breaded Swai fillets. These recalled products were shipped to institutional locations in Indiana. Consumers with questions about the recall may contact Steve Atkinson or Bill Hurley at (617) 464-3366.